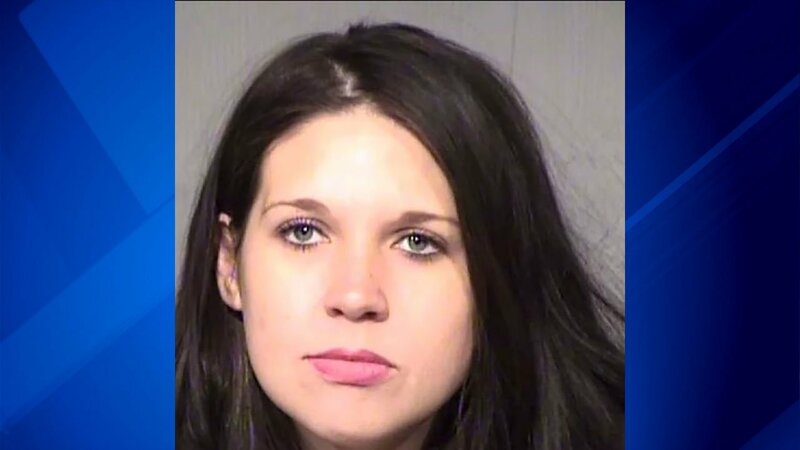 TEMPE, Ariz. -- A Tempe mom was arrested after police say her child ate mac and cheese made with THC butter. THC is a chemical in cannabis that gets you high. Alaina Marie Limpert, 25, was booked on one count of child abuse. The Department of Child Safety was notified by someone in Limpert's home that her almost-two-year-old daughter had ingested THC butter while eating macaroni and cheese with her father. "During that time, neither parent took the child to immediate emergency care," according to the police report. Instead, "It was witnessed inside of the residence that (they) both laughed about the side effects the child experienced during that time and then proceeded to place her into their backyard pool to use the cold water to 'shock' her," the police report continued. It wasn't until two days later the Department of Child Safety was notified and arrived to take custody of all three kids living at the home. Hospital officials later confirmed that they found THC in the infant's system. Limpert later admitted making the mac and cheese with THC for her husband, but did not know her daughter ingested it. Limpert is due back in court April 19. At the home, police report they found two marijuana grow tents in the garage. They also found mushrooms, bongs and pipes, containers of hash oil and other drug paraphernalia. In the home's refrigerator, "on the top shelf were three large tubs of THC butter." Copyright 2018 Cable News Network. Turner Broadcasting System, Inc. All Rights Reserved.